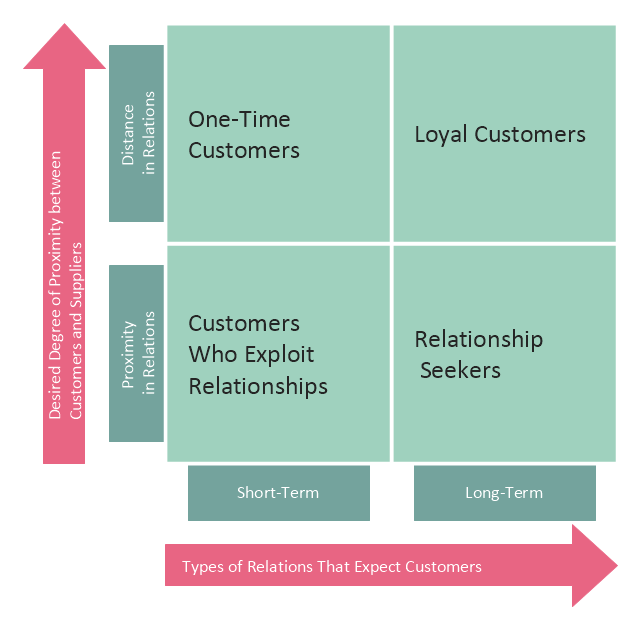 This customer types matrix diagram distribute customers into four categories depending of two criteria: 1) desired degree of proximity between customers and suppliers, and 2) types of relations that expect customers. One time customers have short-term relations with suppliers and characterized by distance in relations with them. 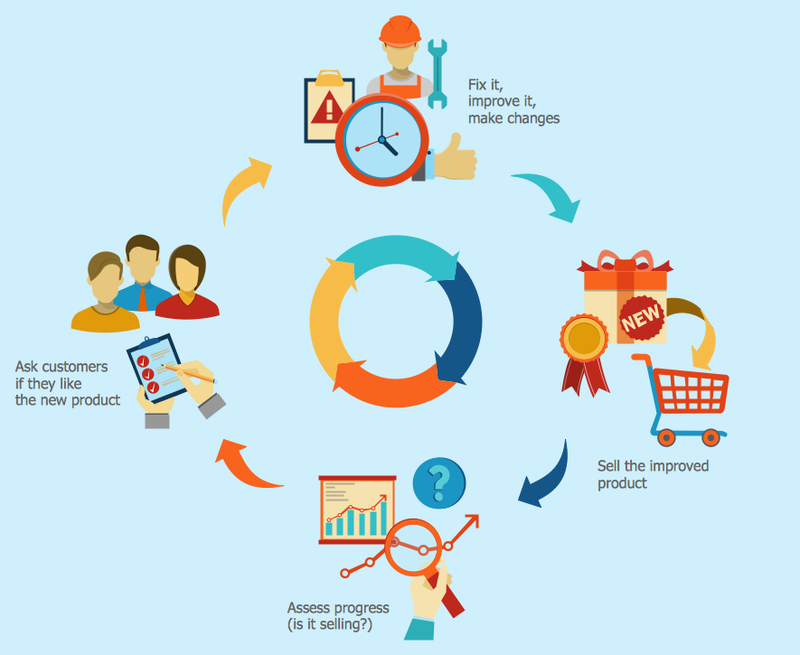 Loyal customers have long-term relations with suppliers and characterized by distance in relations with them. Customers who exploit relationships have short-term relations with suppliers and characterized by proximity in relations with them. Relationship seekers have long-term relations with suppliers and characterized by proximity in relations with them. 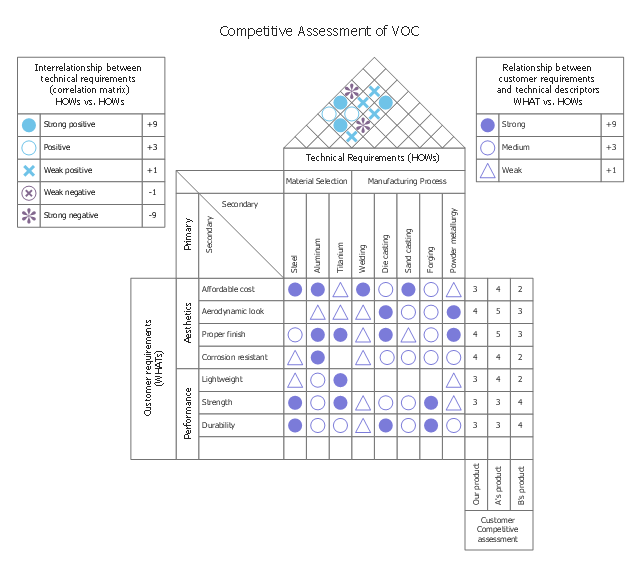 This house of quality sample illustrates competative assessment of voice of the customer (VOC). This house of quality sample illustrates correlation matrix. 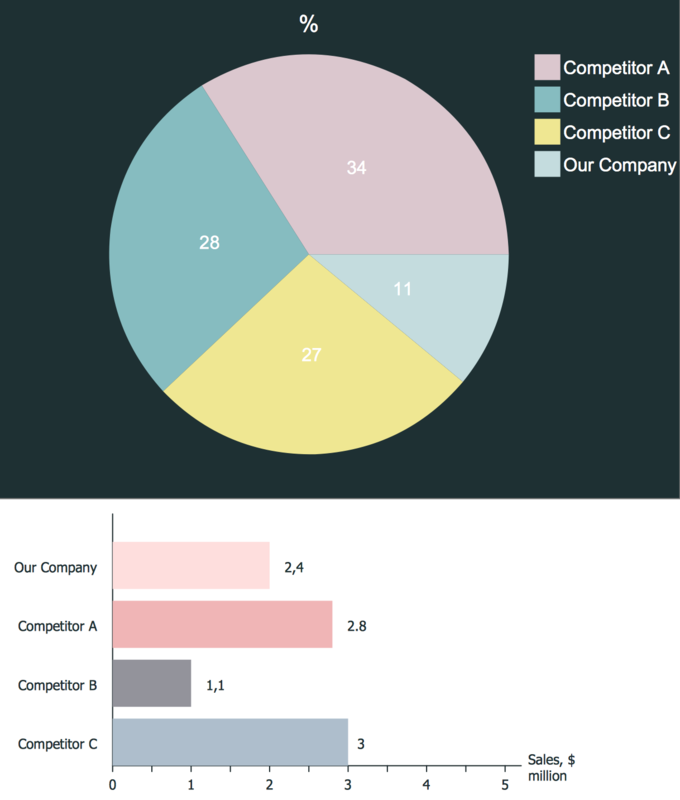 "After drafting the relationship matrix, it is evaluated for any empty row or column. An empty row indicates that a customer voice is not being addressed by any technical descriptors. Thus, the customer expectation is not being met. 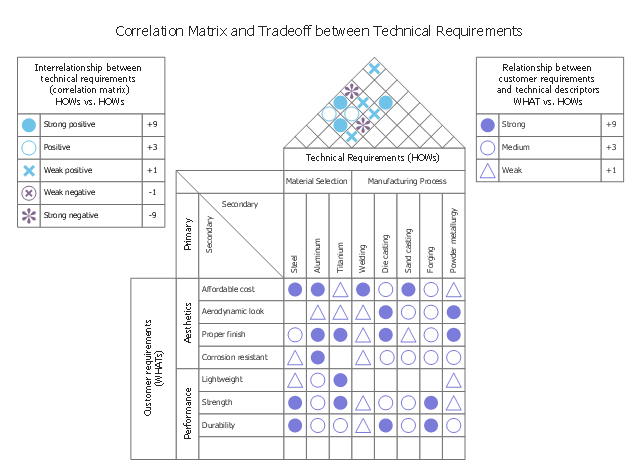 Any blank column indicates that the technical requirement is unnecessary, as it does not address any VOC. - A ‘solid circle’ represents a strong positive relationship. - A ‘circle’ represents a positive relationship. - An ‘X’ represents a negative relationship. 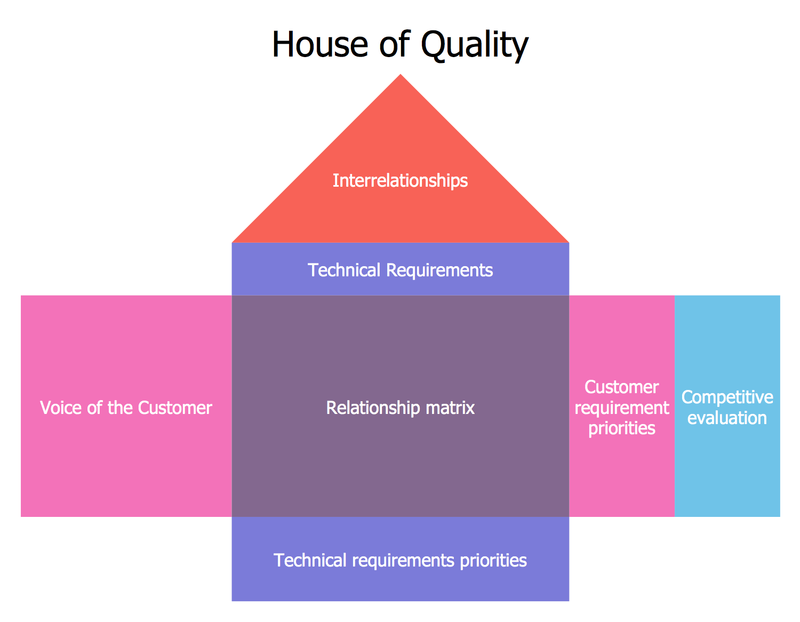 This house of quality sample illustrates interrelationship matrix. - A solid circle represents a strong relationship (scored as +9). - A single circle represents a medium relationship. (scored as +3). - A triangle represents a weak relationship (scored as +1). 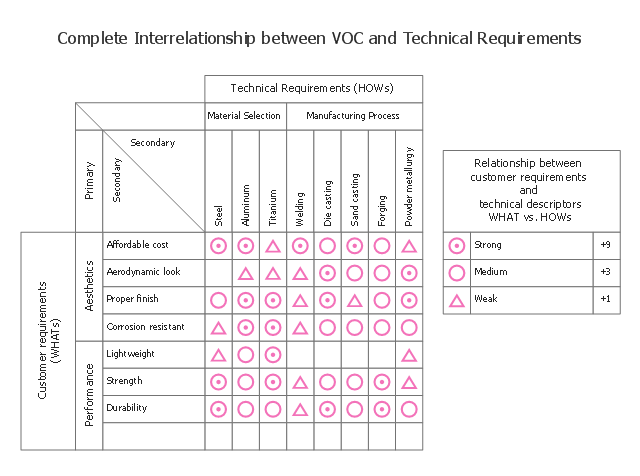 - The box is left blank if there is no relationship between VOC and technical characteristics.